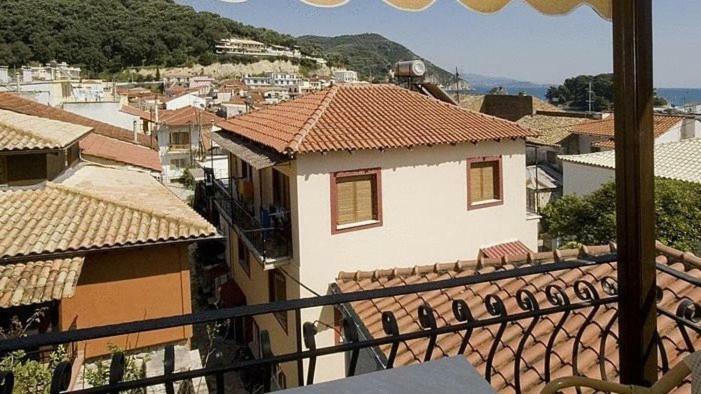 Located in the picturesque town of Parga, Tourist Hotel features self-catered rooms with a spa bath and balcony. Within proximity, guests can reach the town center featuring many bars and restaurants. Hotel Tourist rooms are air conditioned and warmly decorated with wooden Italian furnishings. They include a kitchenette with refrigerator, where guests can prepare their breakfast or a quick meal. All units are equipped with satellite TV, safety box and hairdryer. The Venetian Castle of Parga is located within walking distance from Hotel Tourist. Public parking is available 350 feet away. 뀐 This property is in the real heart of Parga! Air-conditioned studio with spa bath, kitchenette and satellite TV. This ground floor apartment consists of two separate rooms. One room features 1 double bed and a kitchenette and the other features 2 single beds. It is also equipped with air conditioning, satellite TV and spa bath. Air-conditioned studio with spa bath, kitchenette and satellite TV. It offers sea views from its balcony.